 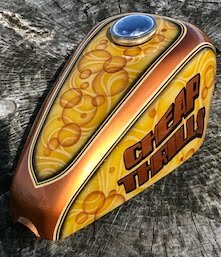 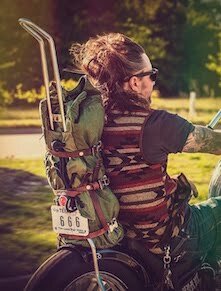 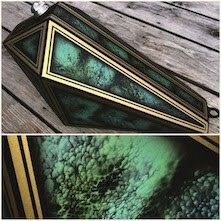 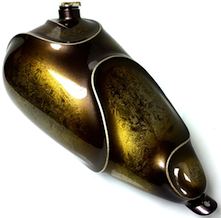 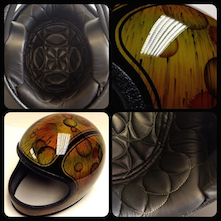 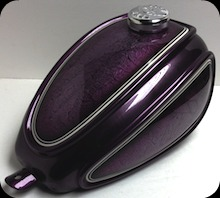 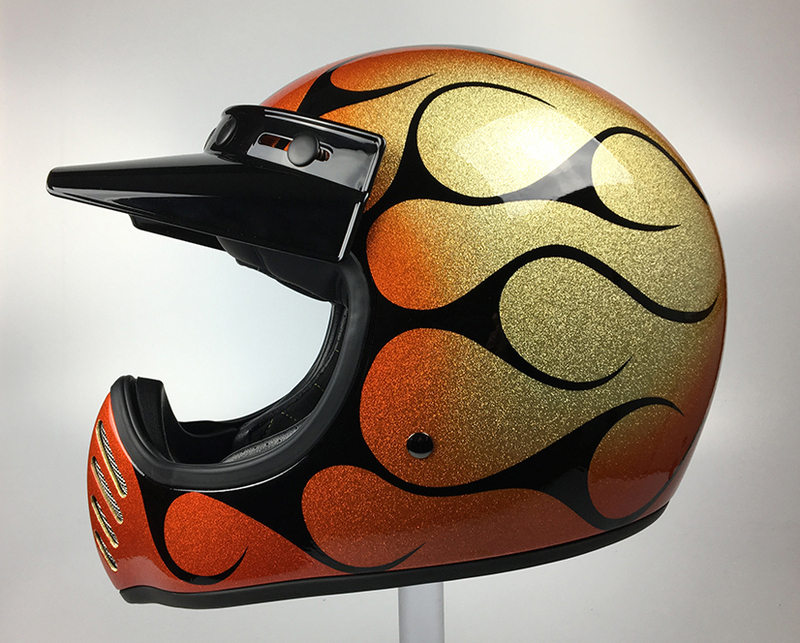 HAVE A TRUE VINTAGE LID YOU WANT REFURBISHED? 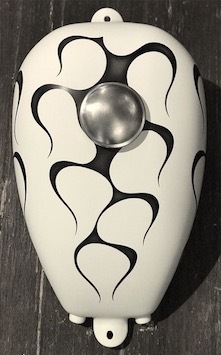 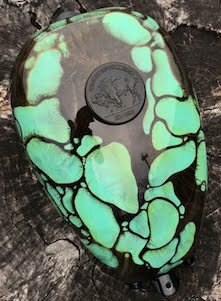 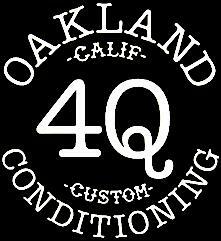  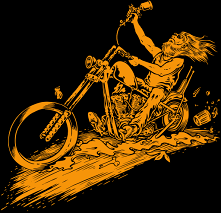 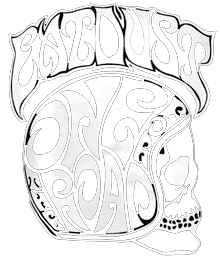 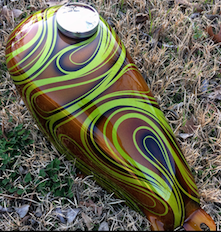 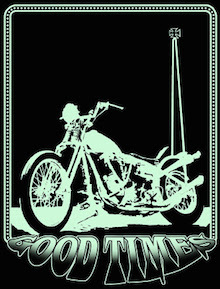 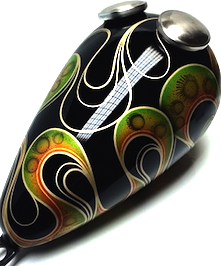 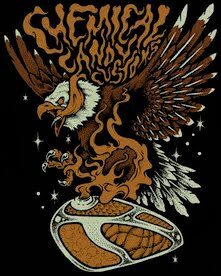  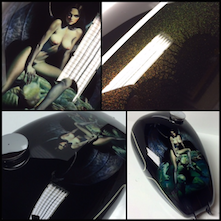 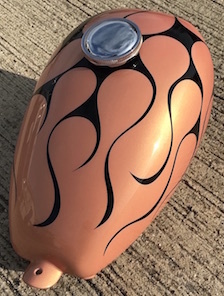 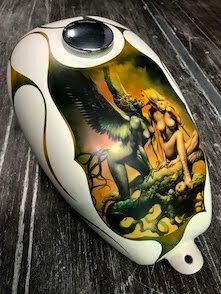 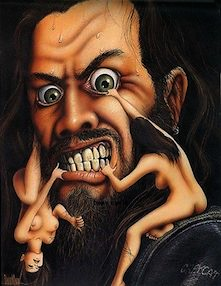 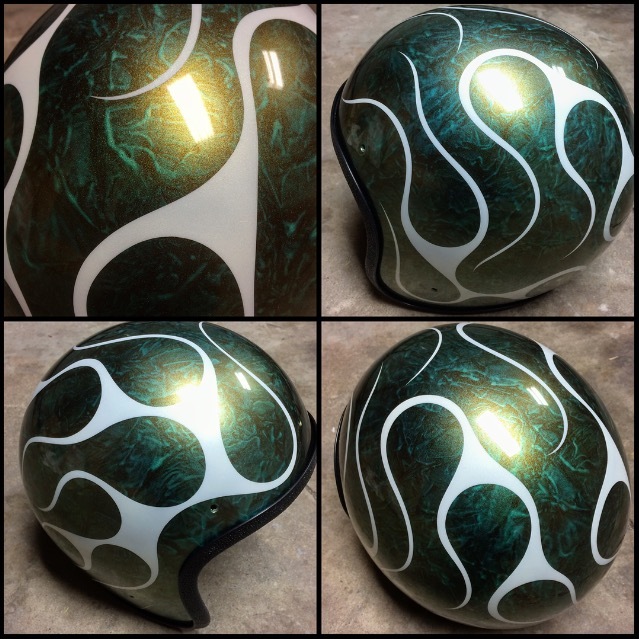 YOU CAN GIVE ME YOUR IDEAS FOR PAINT DESIGN OR JUST LET ME ROLL WITH IT. 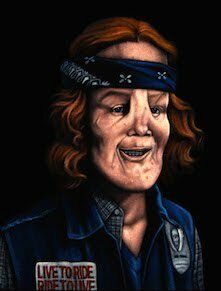 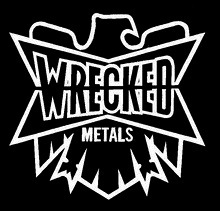 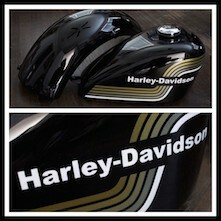 I SHIP IT DIRECTLY TO www.hellmuttliners.com TO FINISH IT OFF WITH A NEW LINER, SNAPS, TRIM & CHIN STRAP. 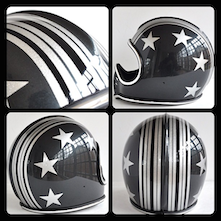 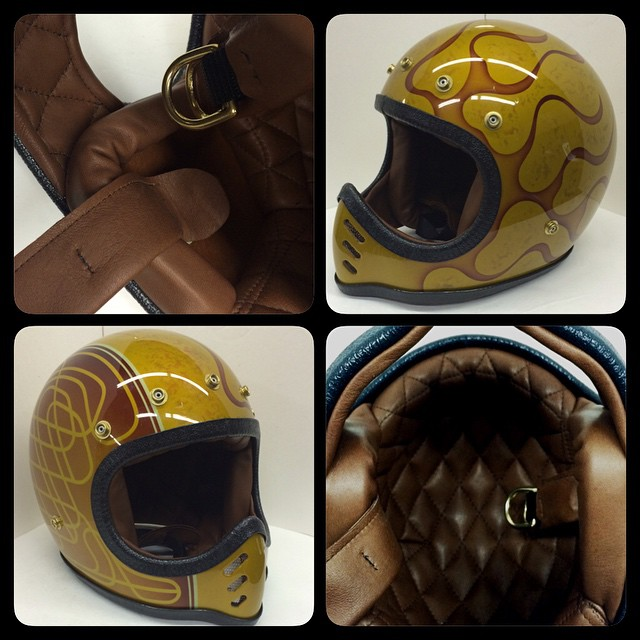 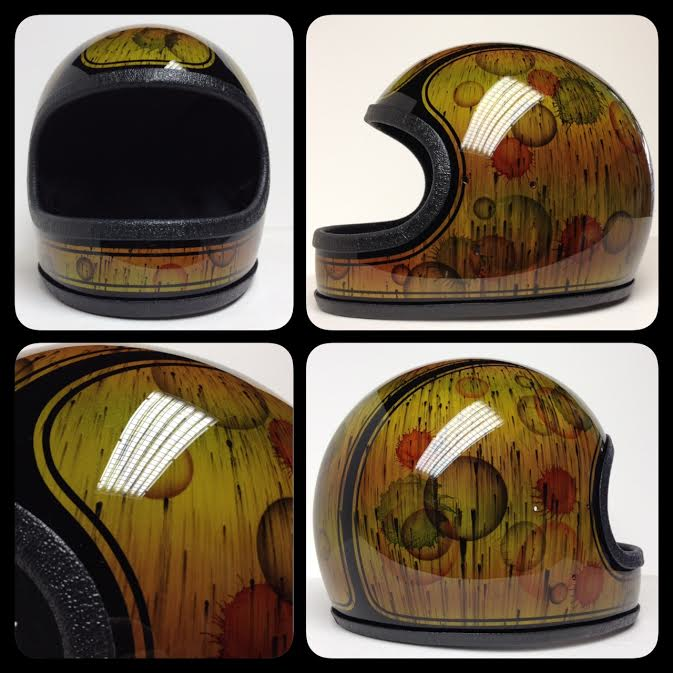 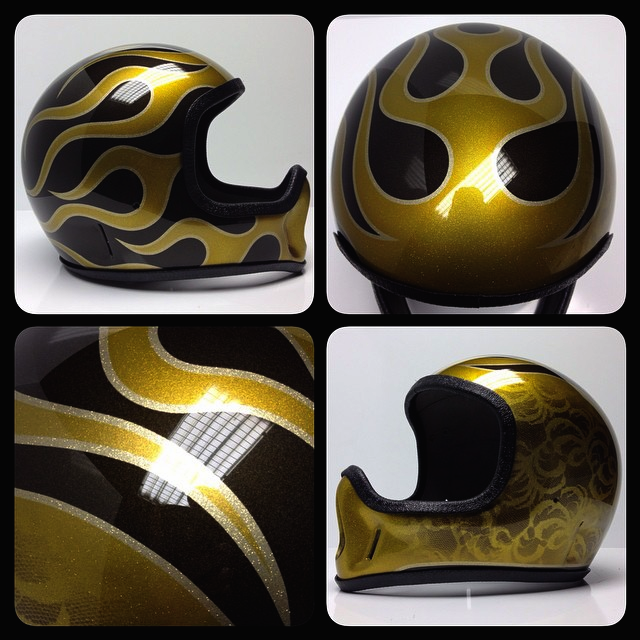 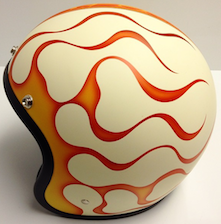 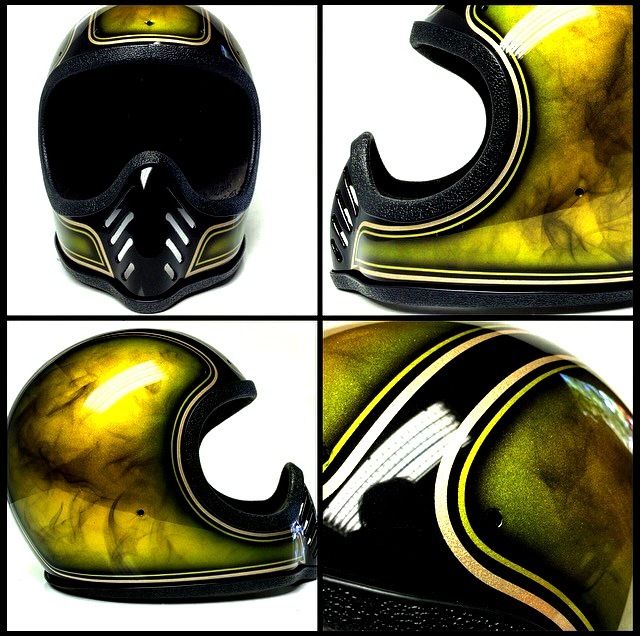 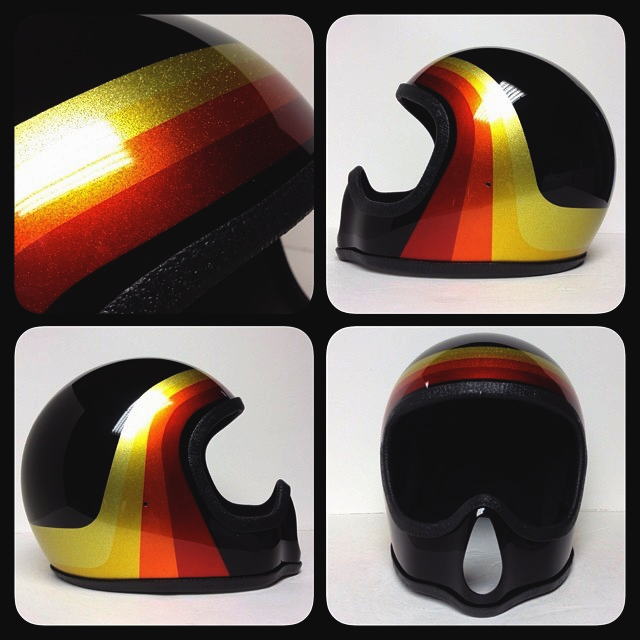 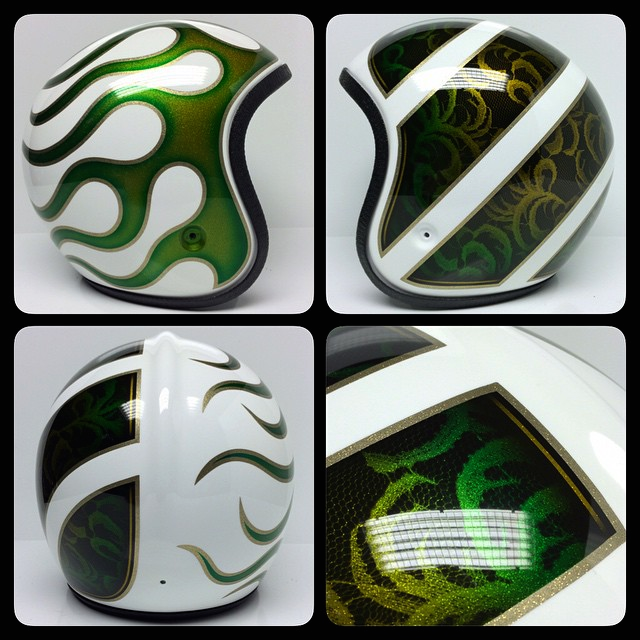 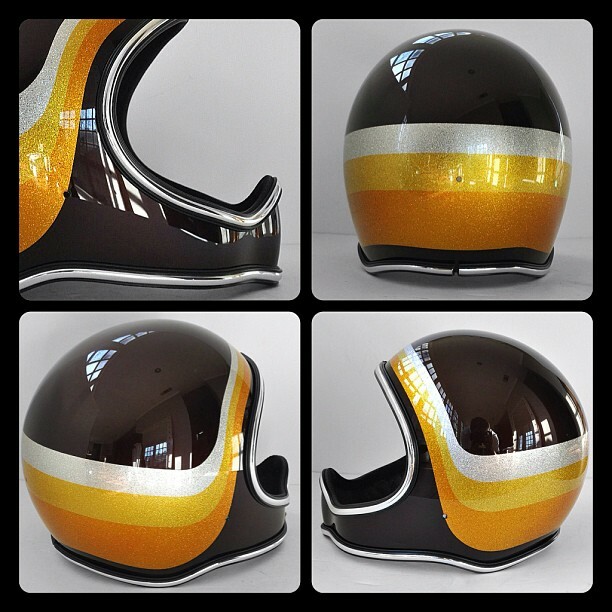 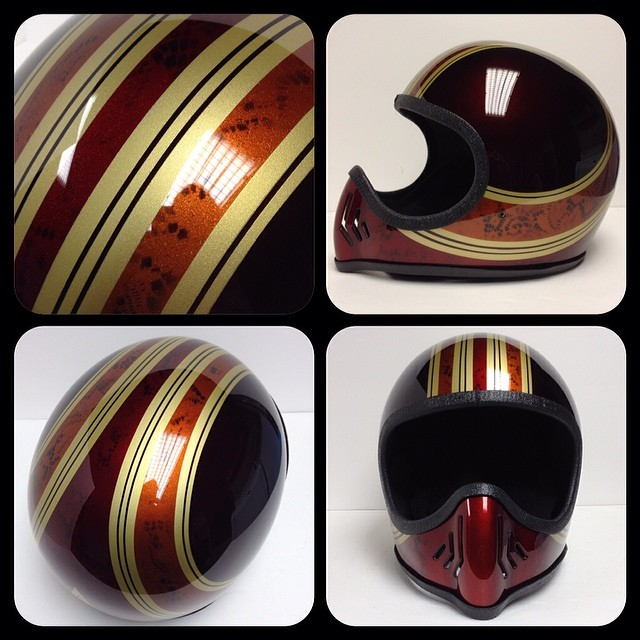 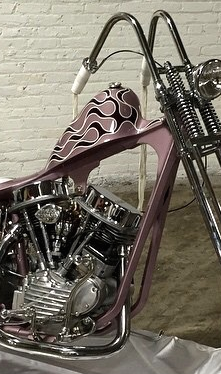 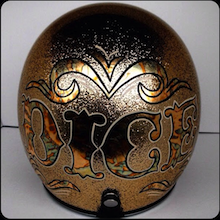 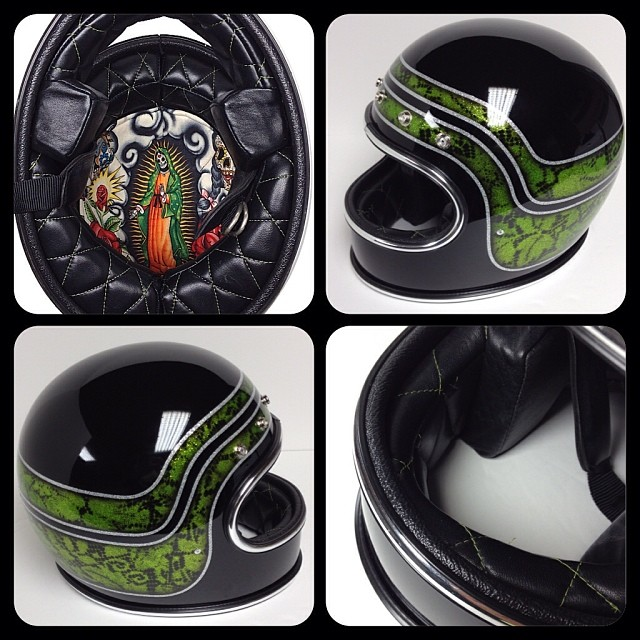 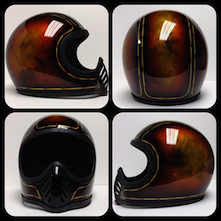 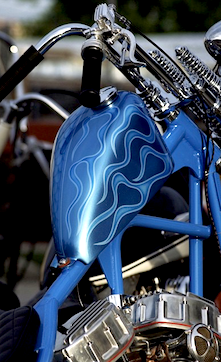 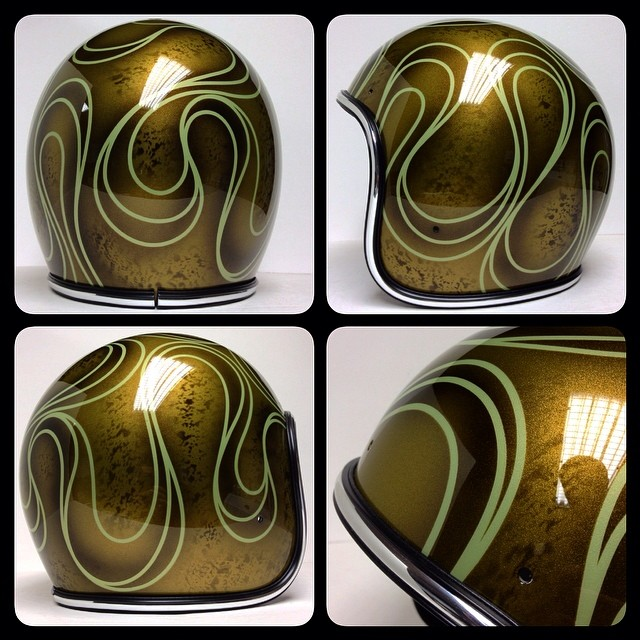 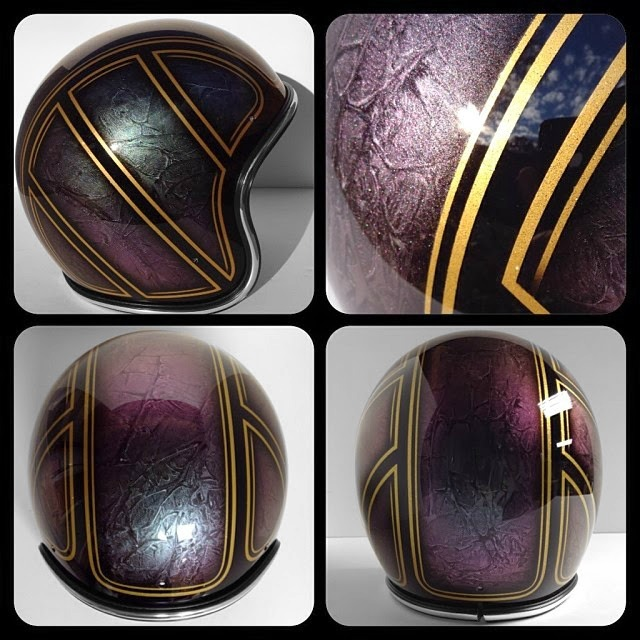 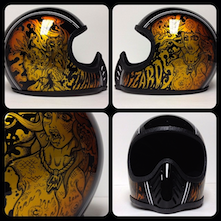 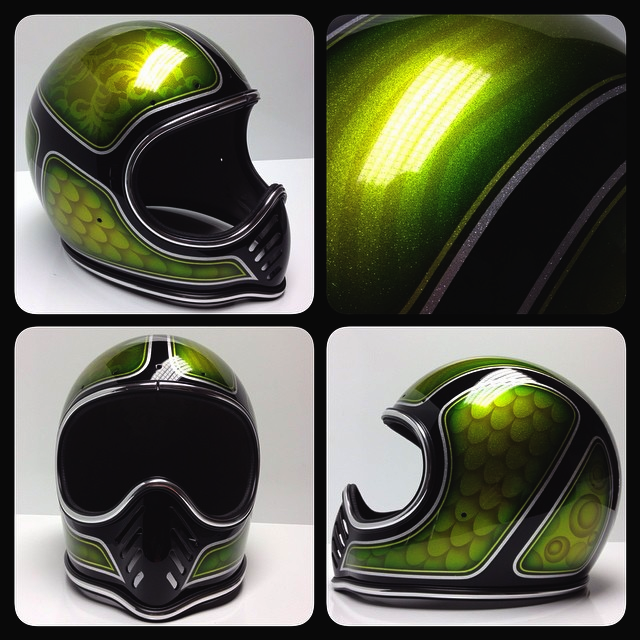 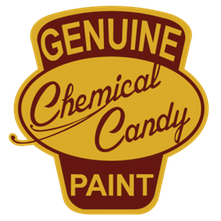 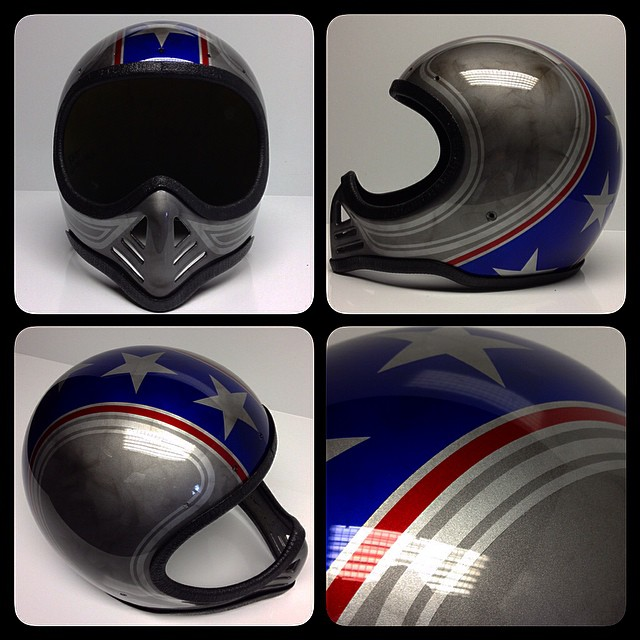 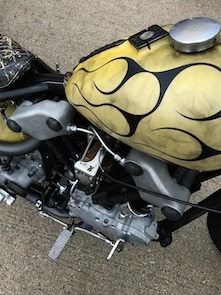 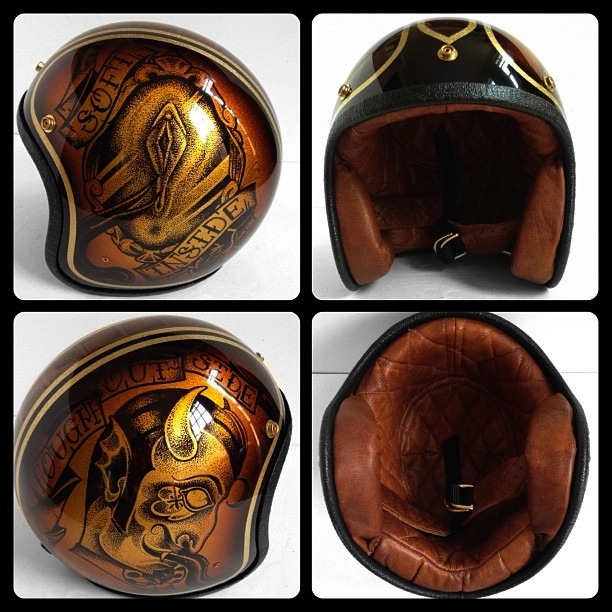 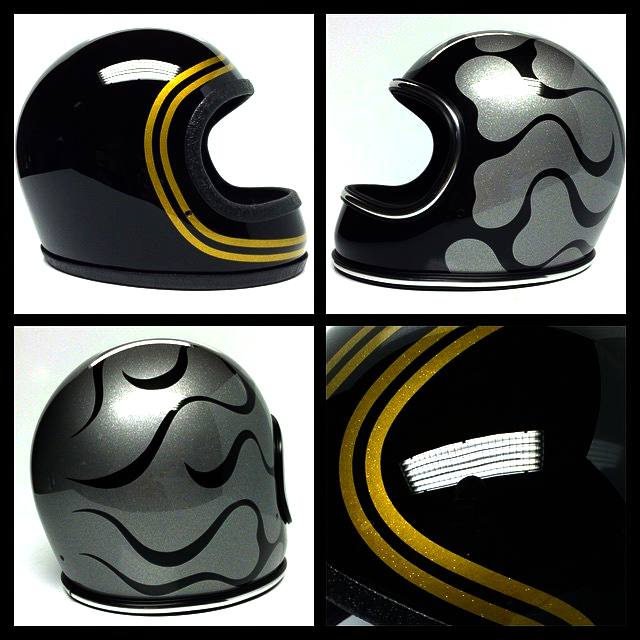 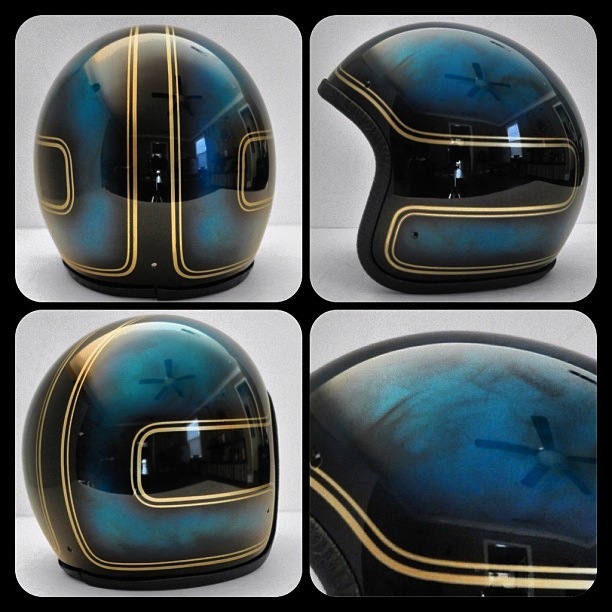 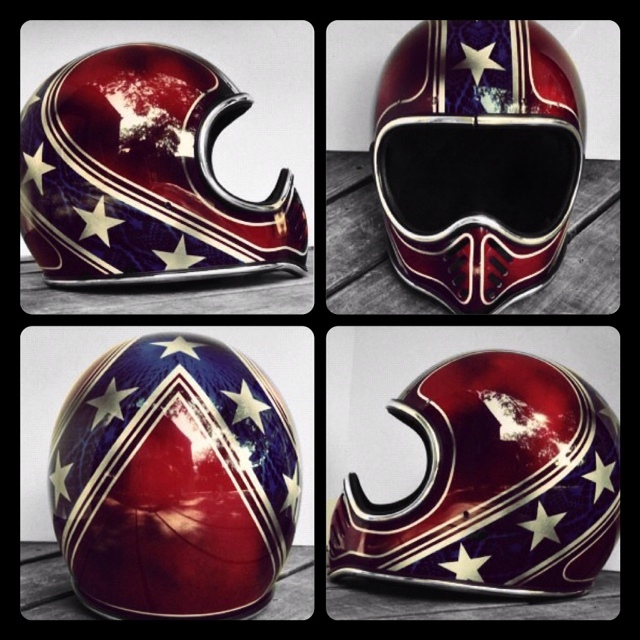 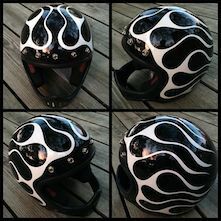 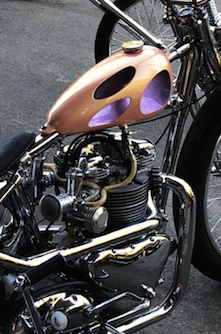 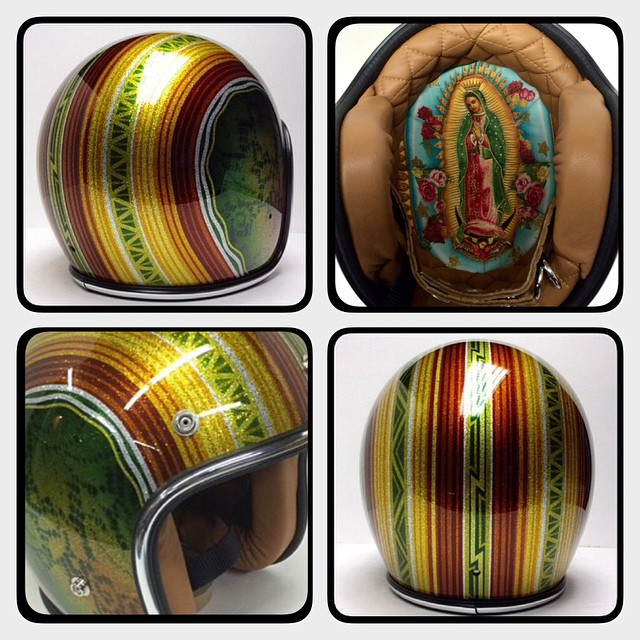 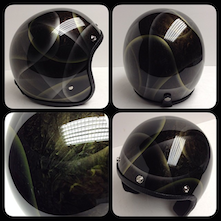 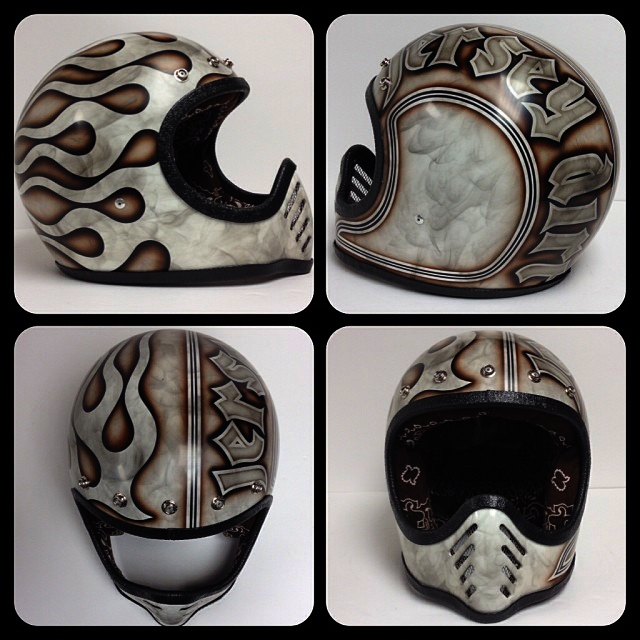 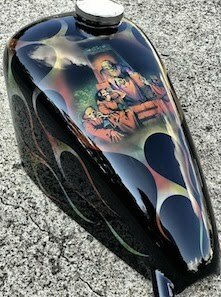 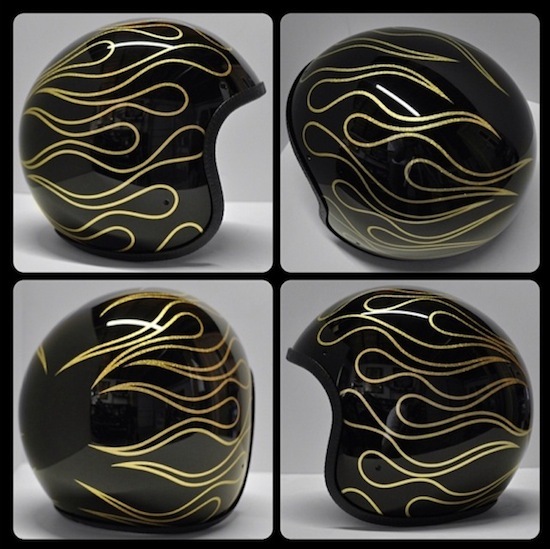 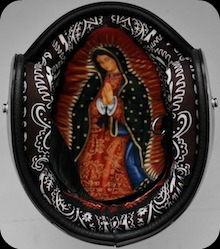 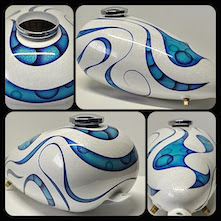 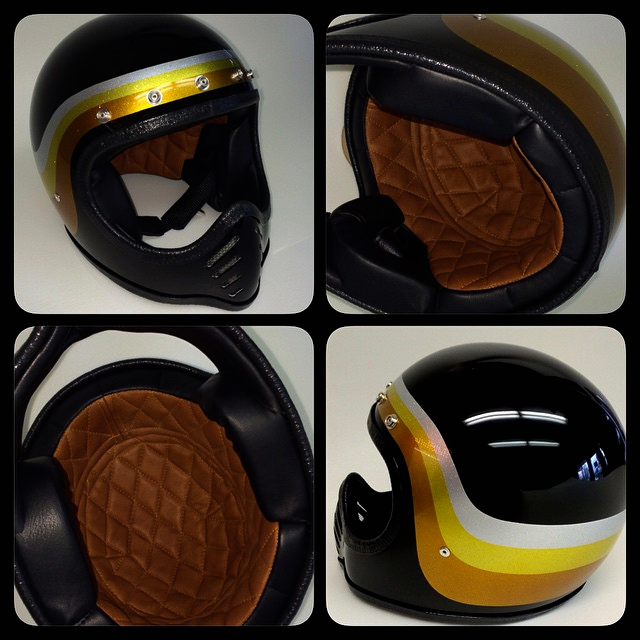 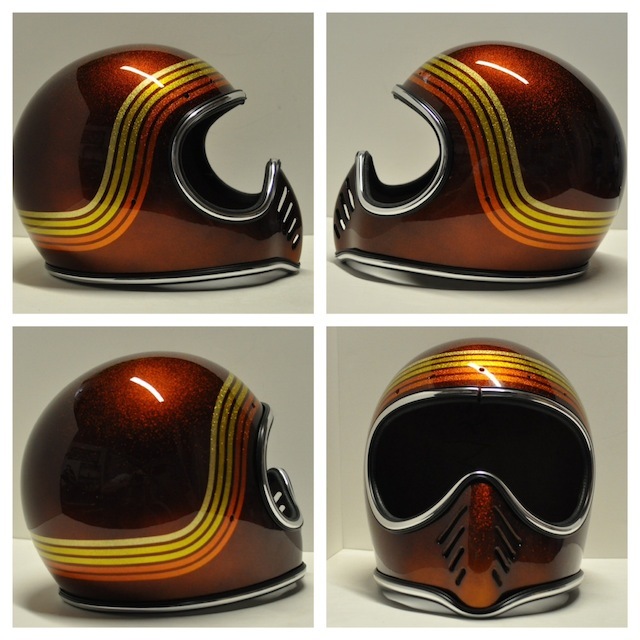 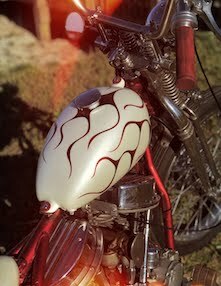 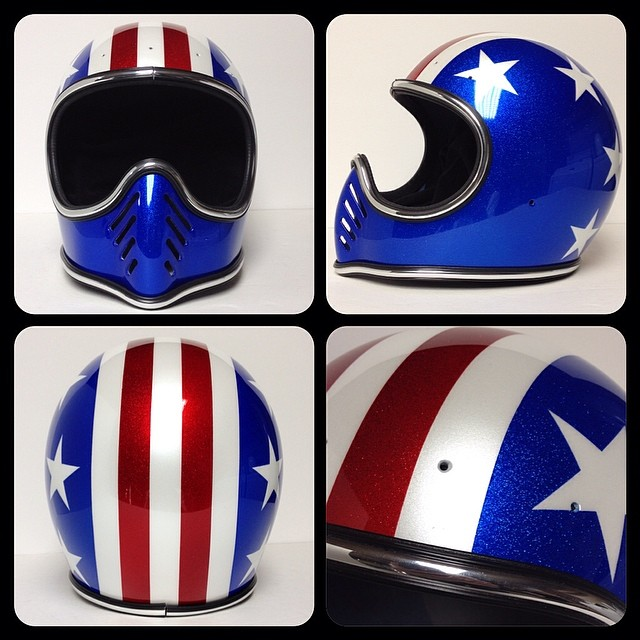 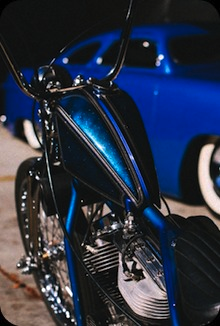 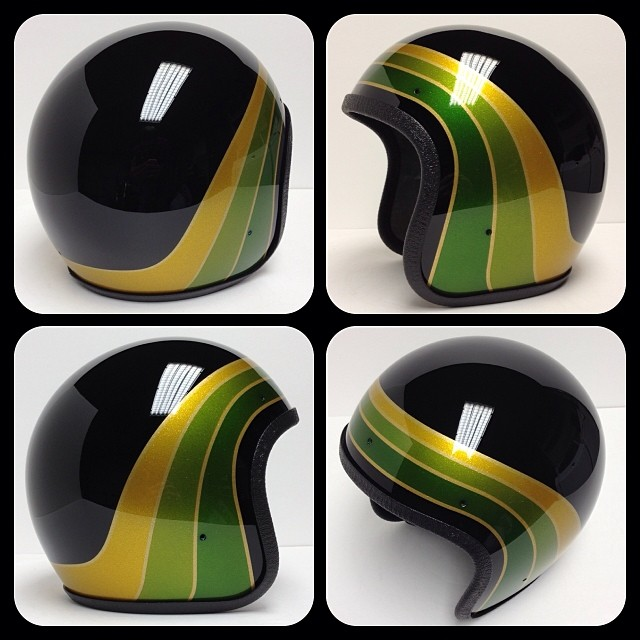 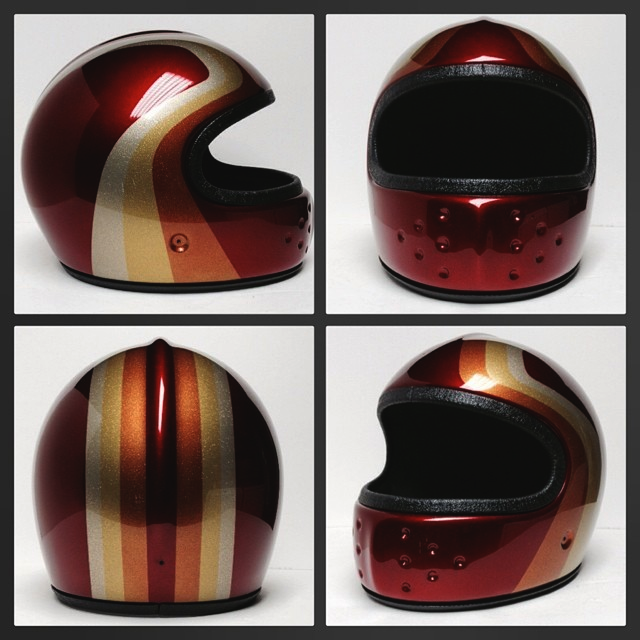 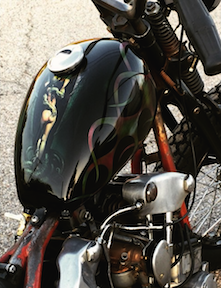 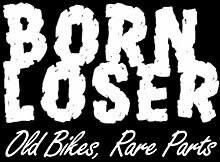 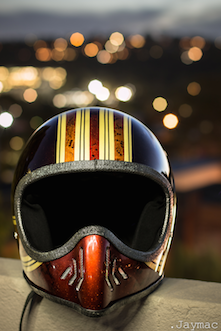 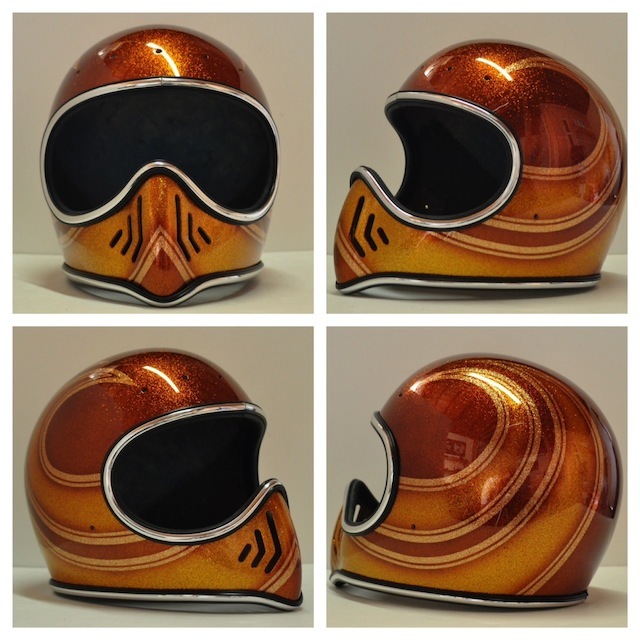 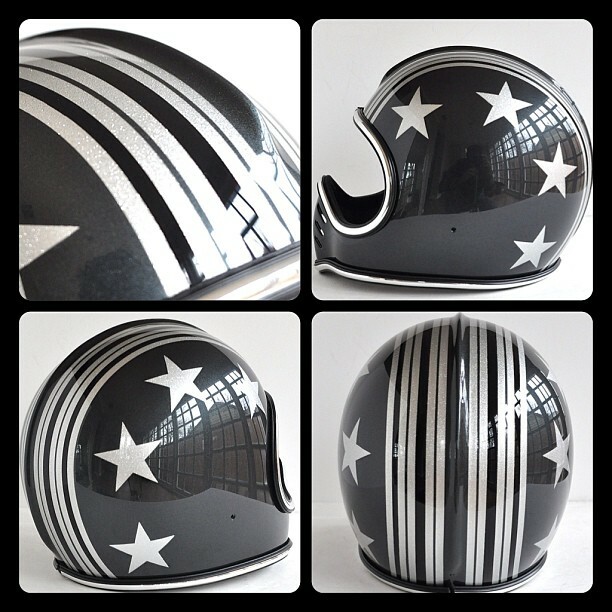 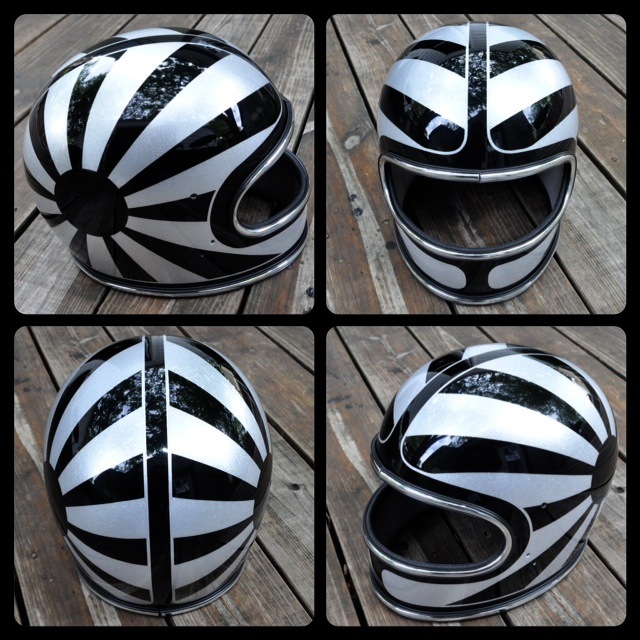 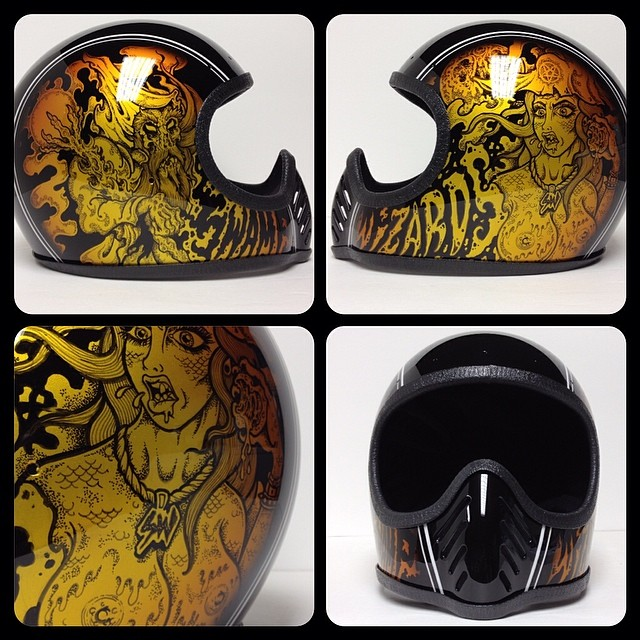 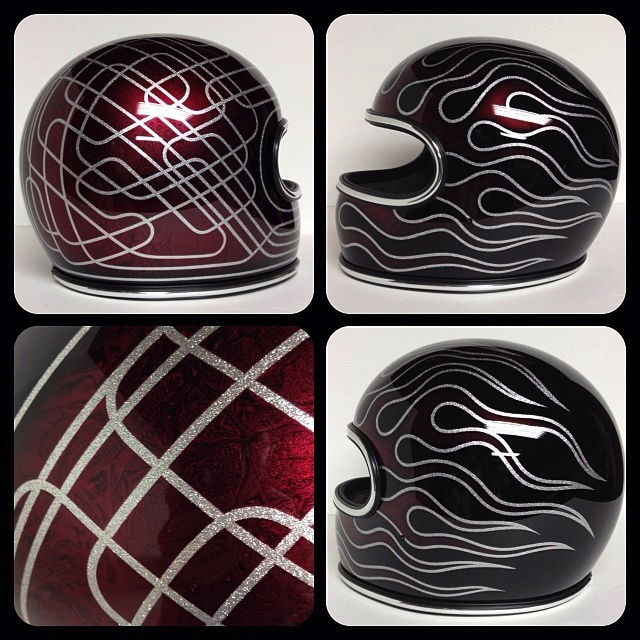 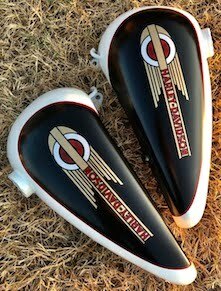 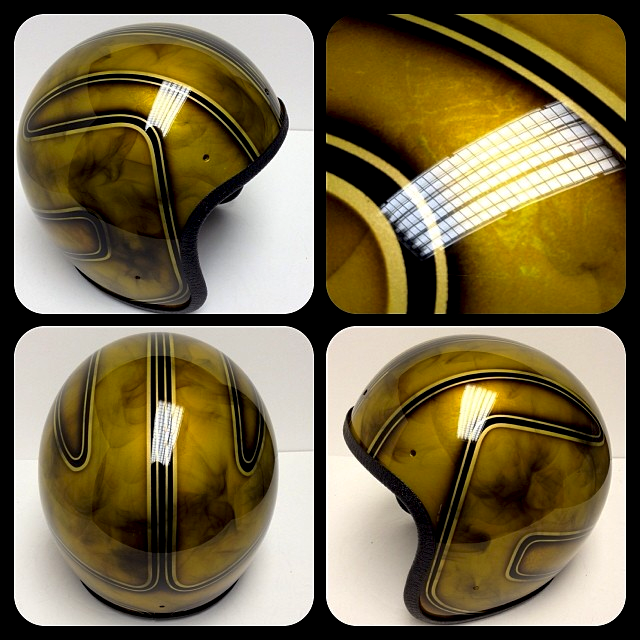 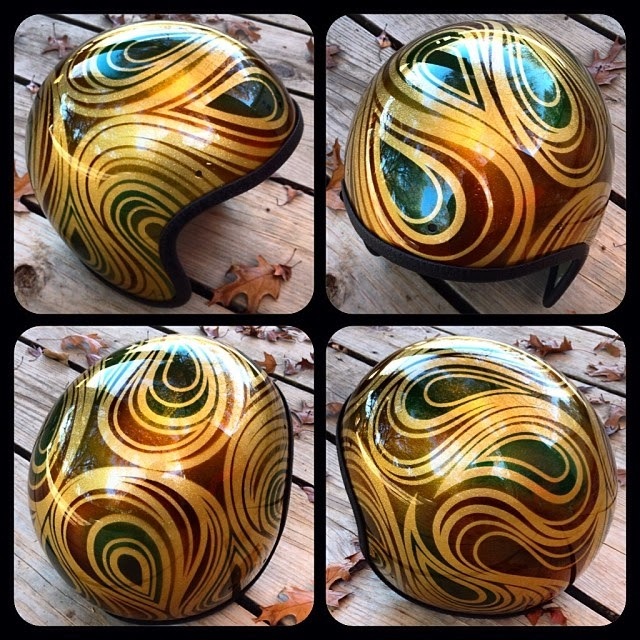 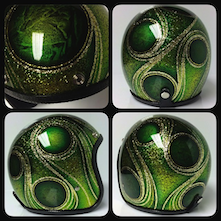 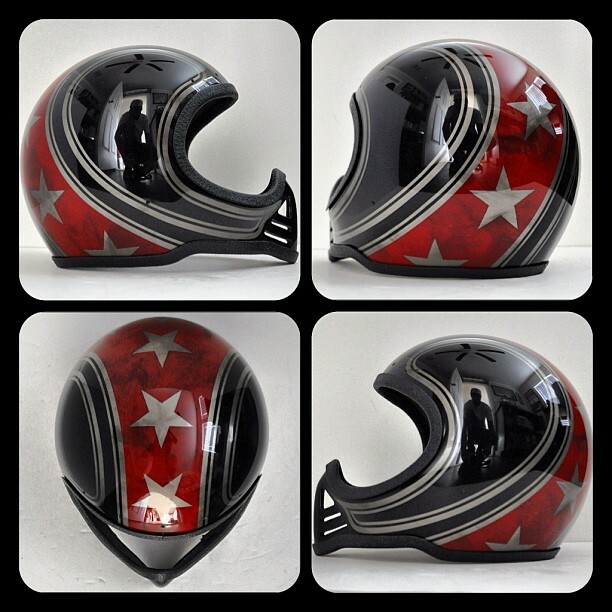 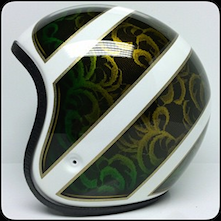 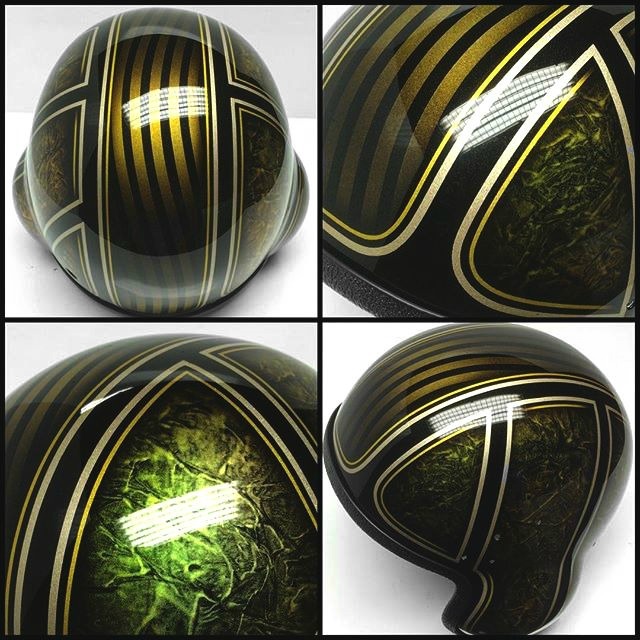 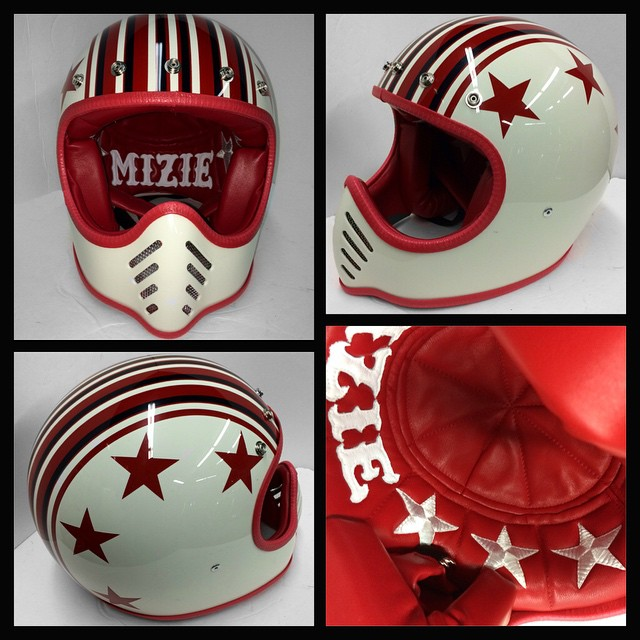 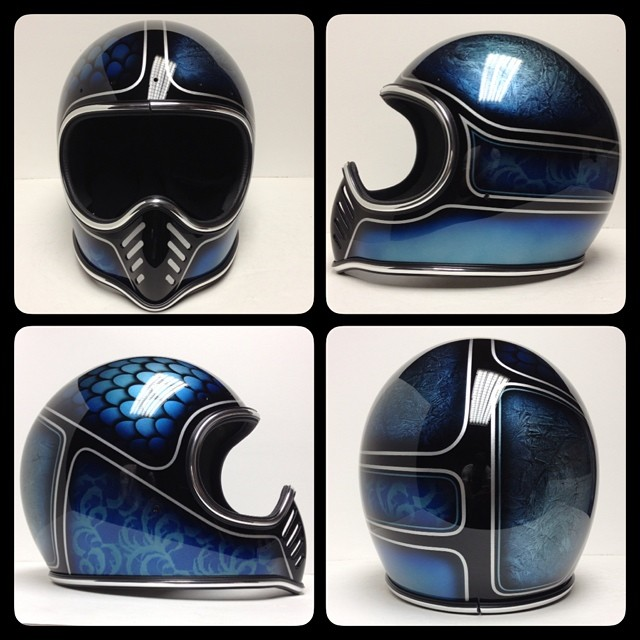 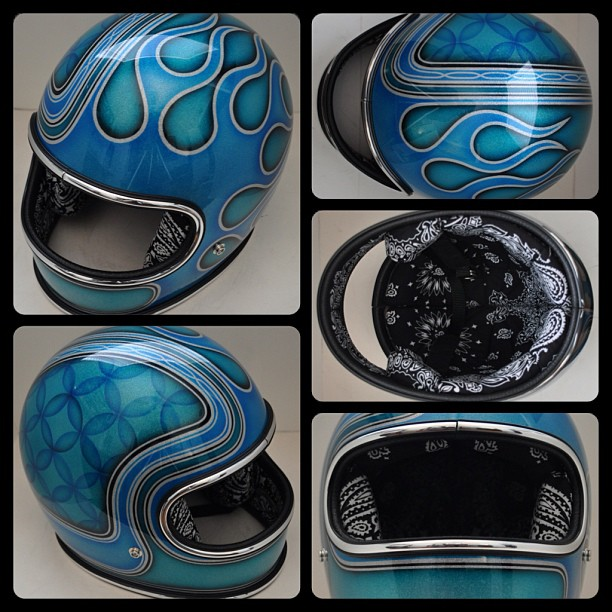 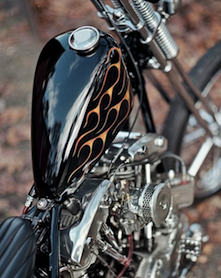 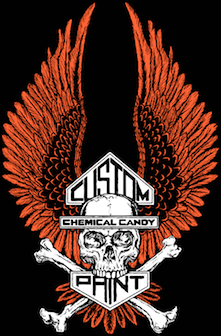 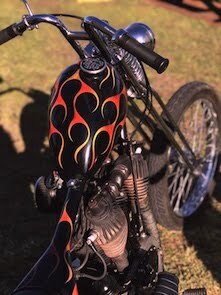 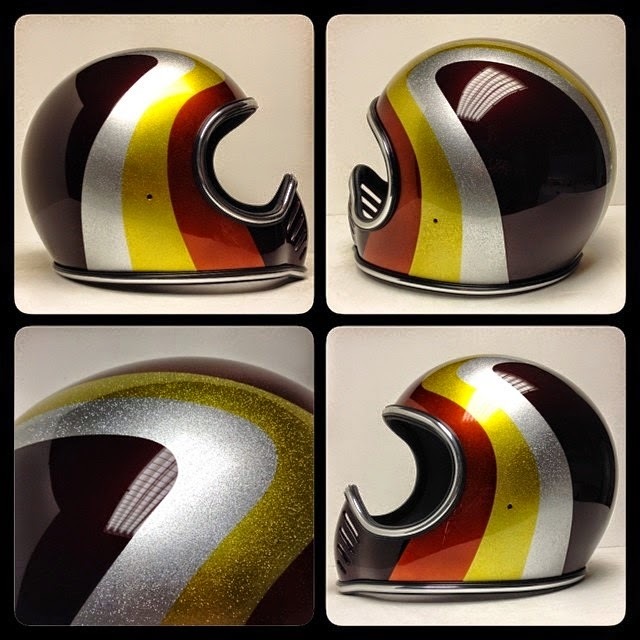 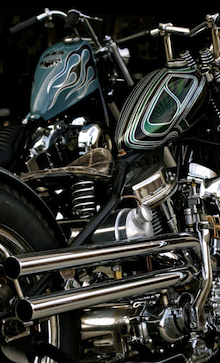 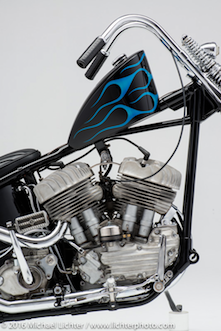 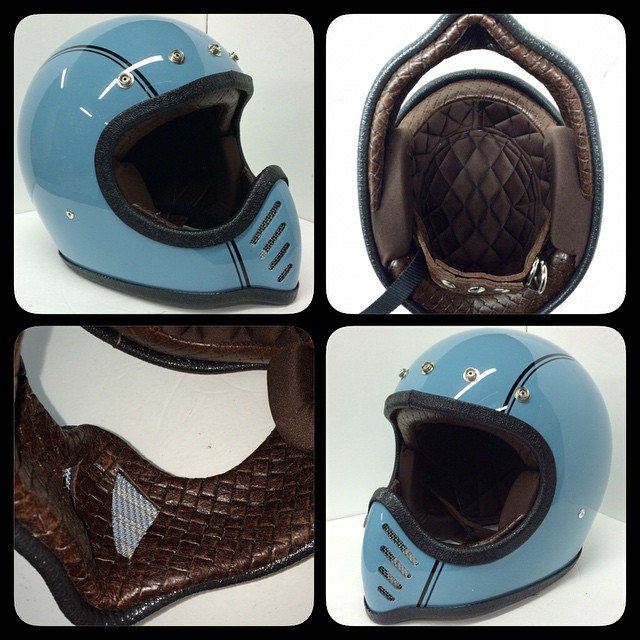 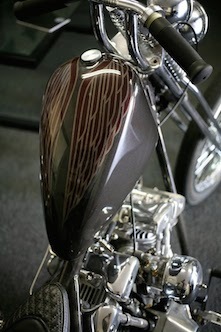 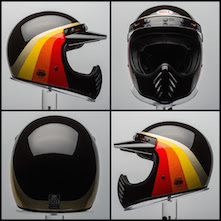 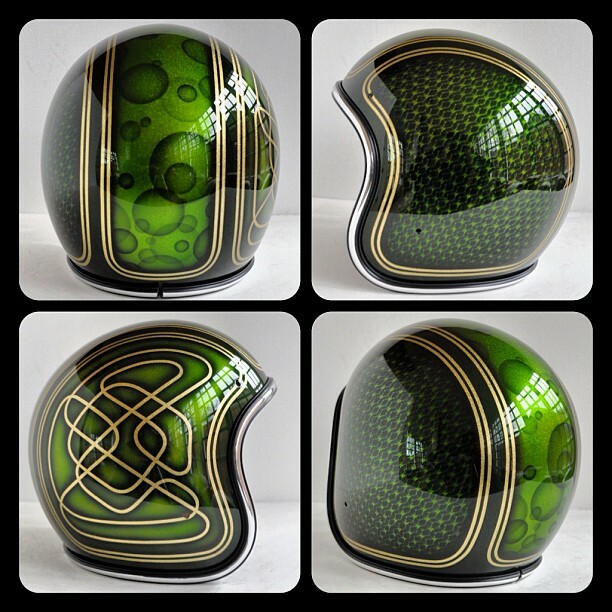 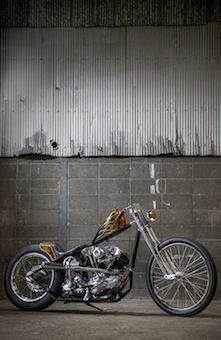 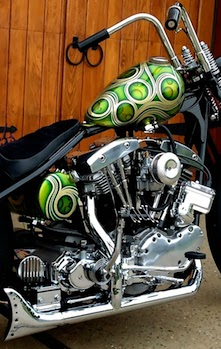 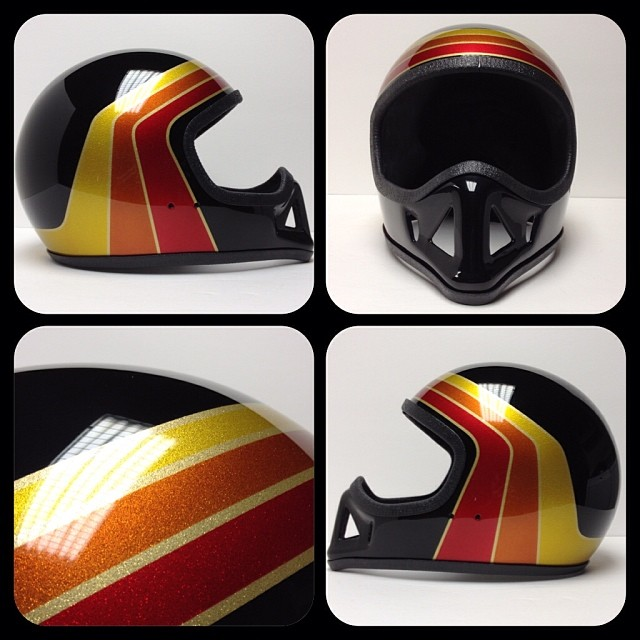 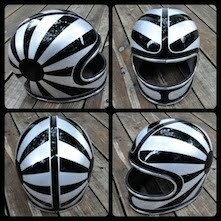 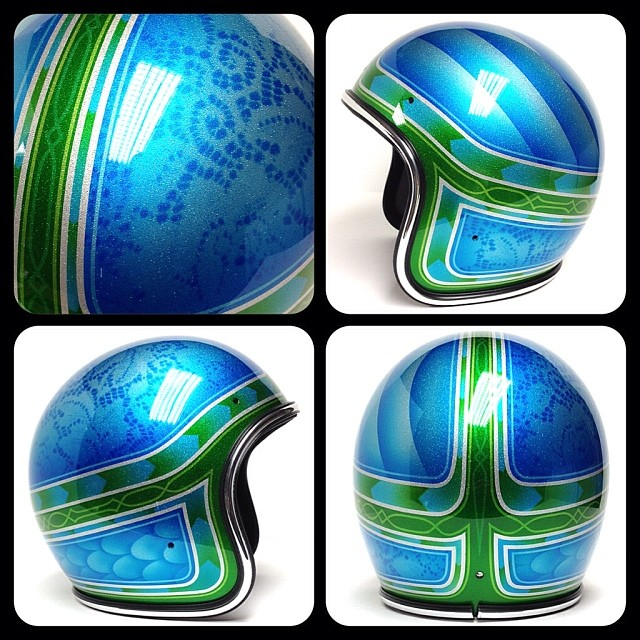 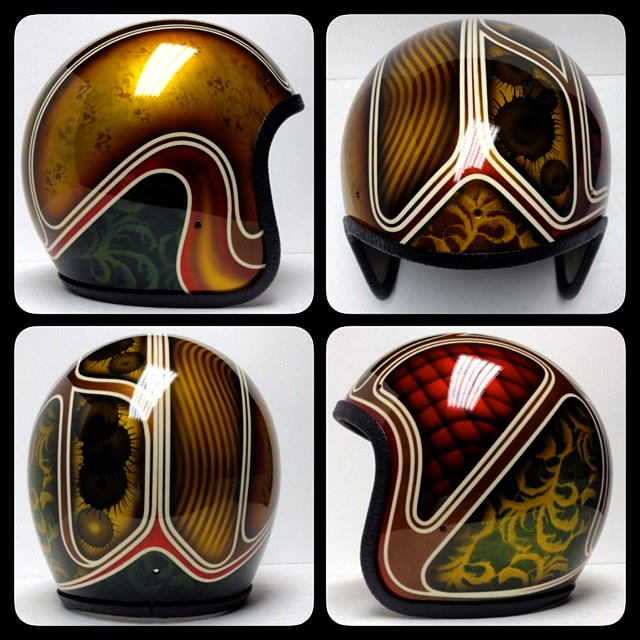 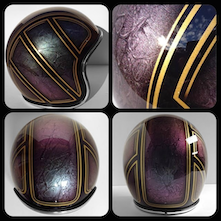 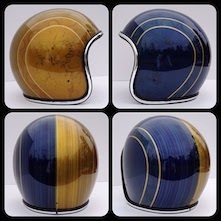 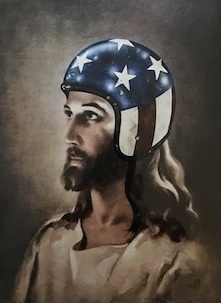 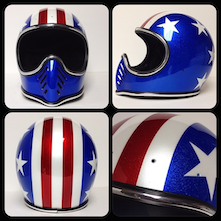 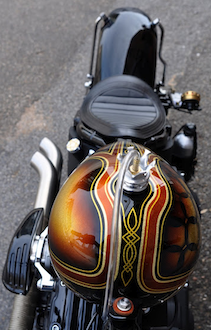 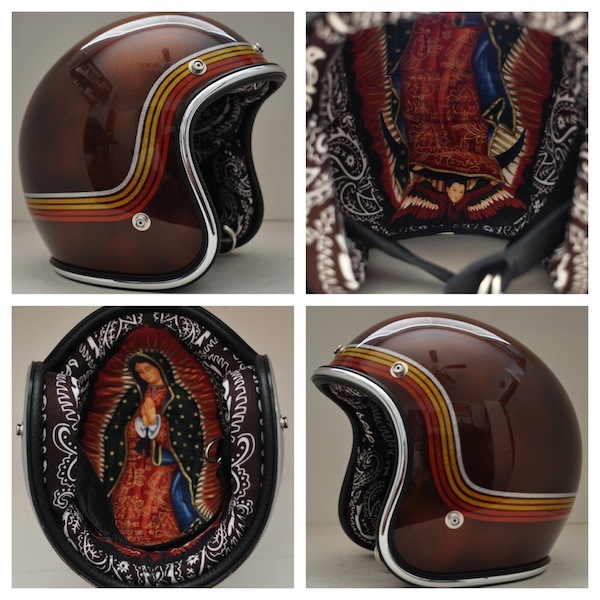 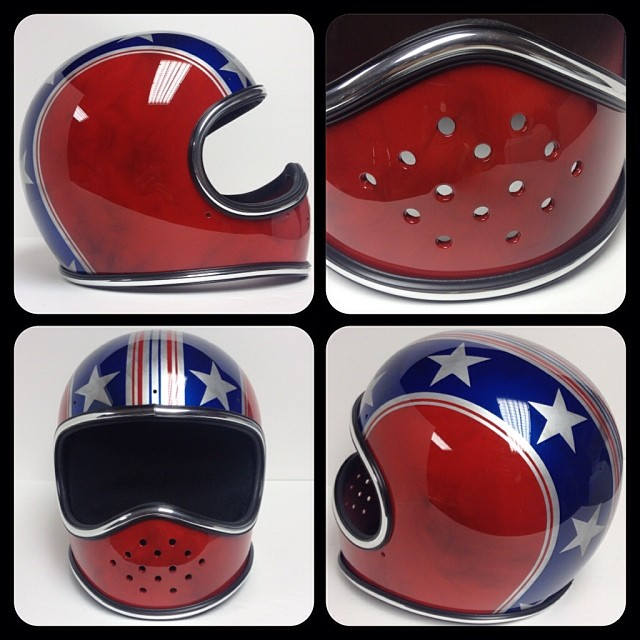 WHEN IT'S ALL SAID & DONE, YOU HAVE A TRUE CUSTOM PAINTED VINTAGE HELMET! 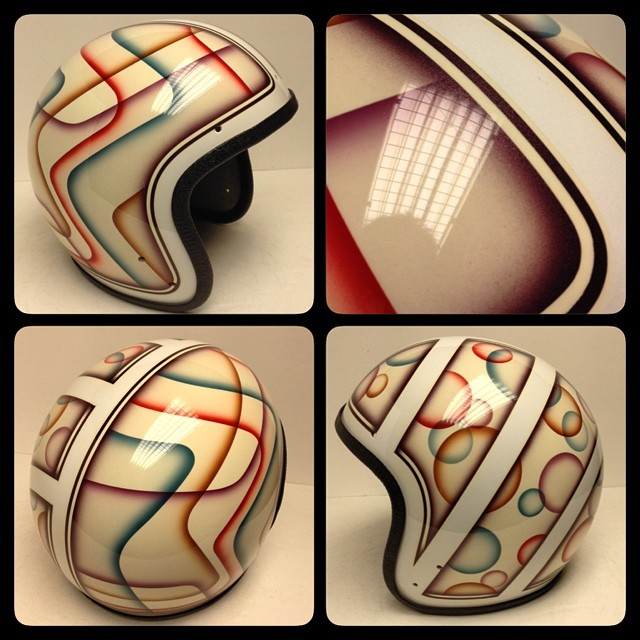 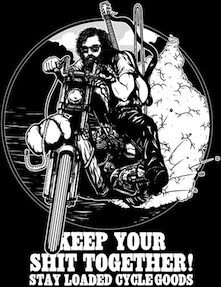 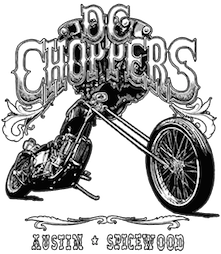 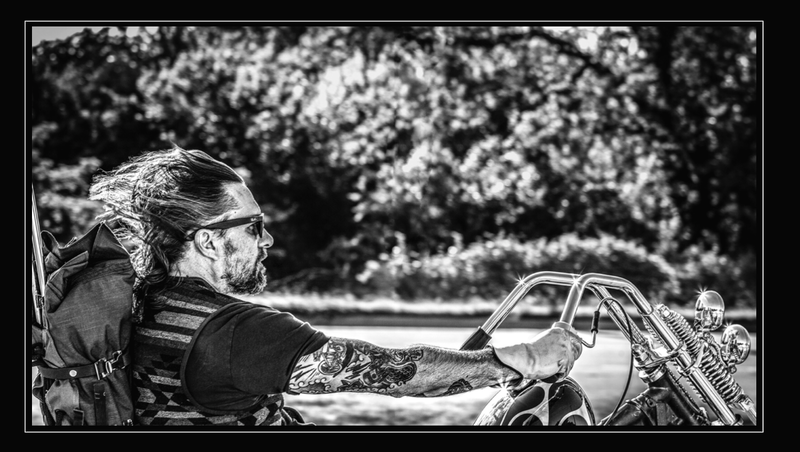 BILLY & RACHEL ARE THE LEADERS IN REPLACING THE GUTS OF ANY HELMET.